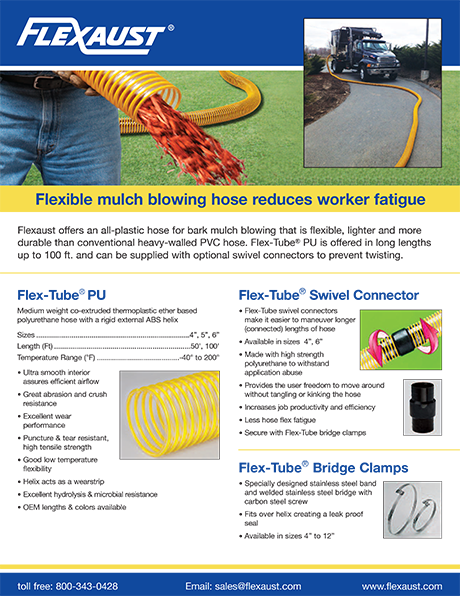 Flexaust offers a broad line of standard flexible, self-extinguishing hoses developed for a wide range of commercial and industrial applications where worker safety is critical. 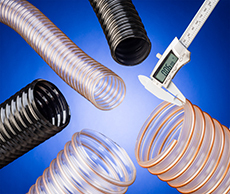 Flexaust UL94V-0 Rated Hoses include 15 standard products which are made from neoprene polyester, PVC polyester, acrylic polyester, PVC, polyurethane, and thermoplastic rubber for a wide range of applications where worker safety is critical. 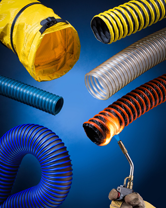 Featuring a choice of highly flexible and abrasion-resistant constructions, the extruded hoses are available in various wall thicknesses and the fabric hoses come in single- and double-plies and several weights. 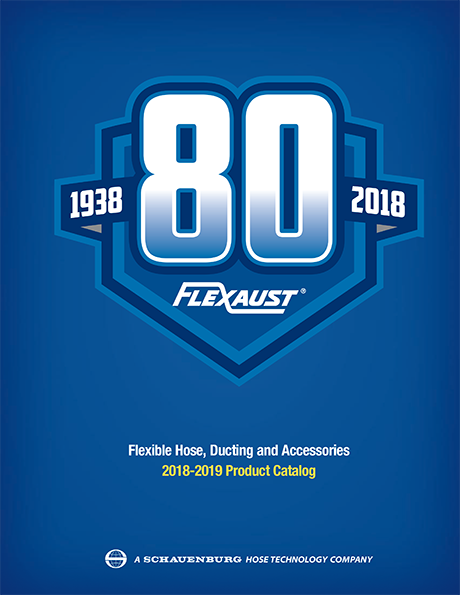 Offered in sizes from 1” to 48”, depending upon type, in lengths to 50 ft., Flexaust UL94V-0 Rated Hoses can be provided with various end finishes. 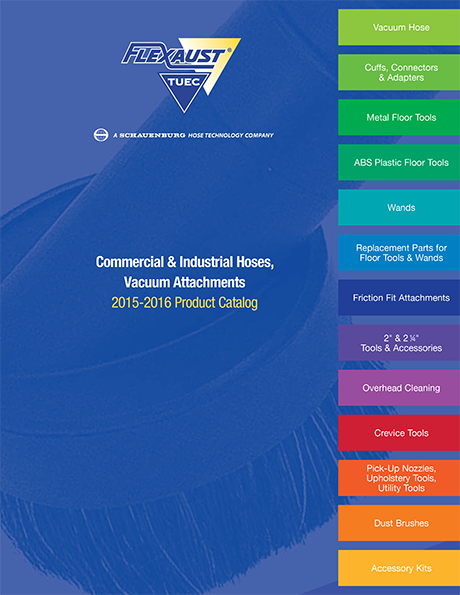 They are ideally suited for dust collection and fume extraction applications in the agricultural, automotive, chemical, coatings, industrial, metal-working, shipbuilding, utility, and woodworking industries. 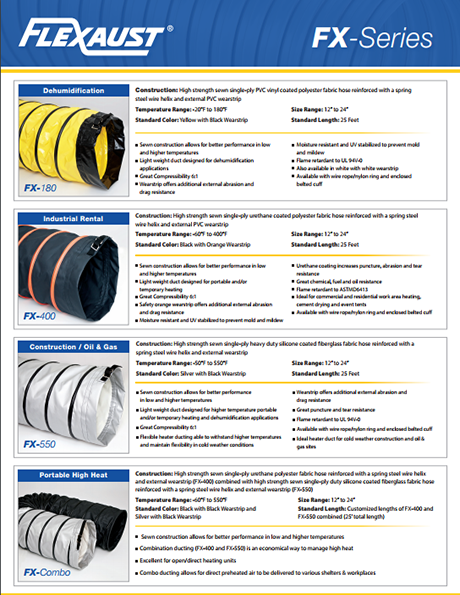 Flexaust UL94V-0 Rated flame retardant hoses are priced according to material, size, and quantity. Pricing and evaluation samples are available upon request. For more information please contact Flexaust here.